How do I setup and use Default Tasks in SQL-RD? Default tasks are custom tasks which can be reused each time you create a schedule (without having to create the same custom task over and over again). This is how to set them up. Default tasks are custom tasks which can be reused each time you create a schedule (without having to create the same custom task over and over again). 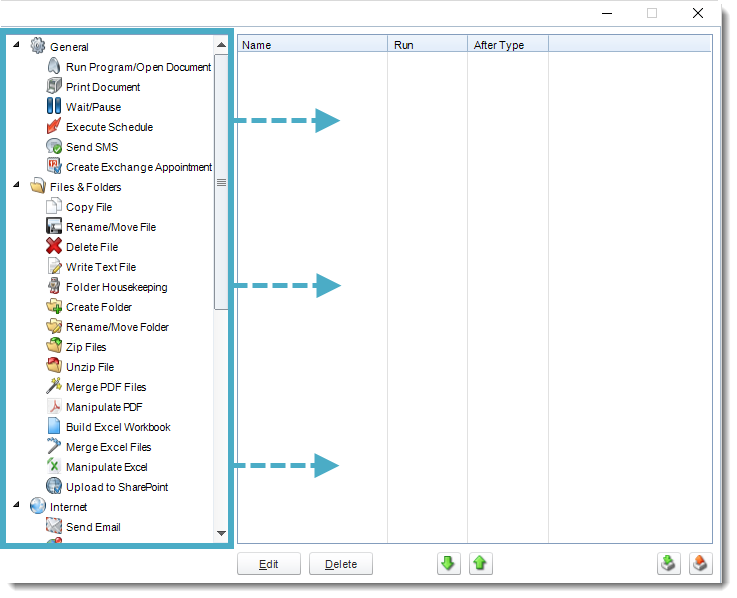 You can use the Default Tasks tab to create and store a copy of those most used custom tasks for easy insertion into schedules. From the list of custom tasks, select the one you want to use. Then, drag and drop it into the list. This will pop up a window that will allow you to set up the default custom task. The picture shown below may differ from the pop-up window you see. 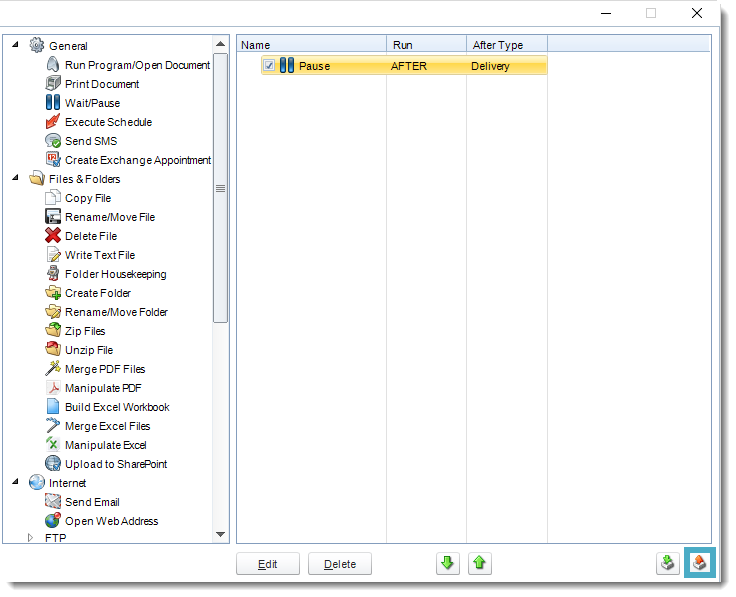 This window varies based on the type of custom task you select. 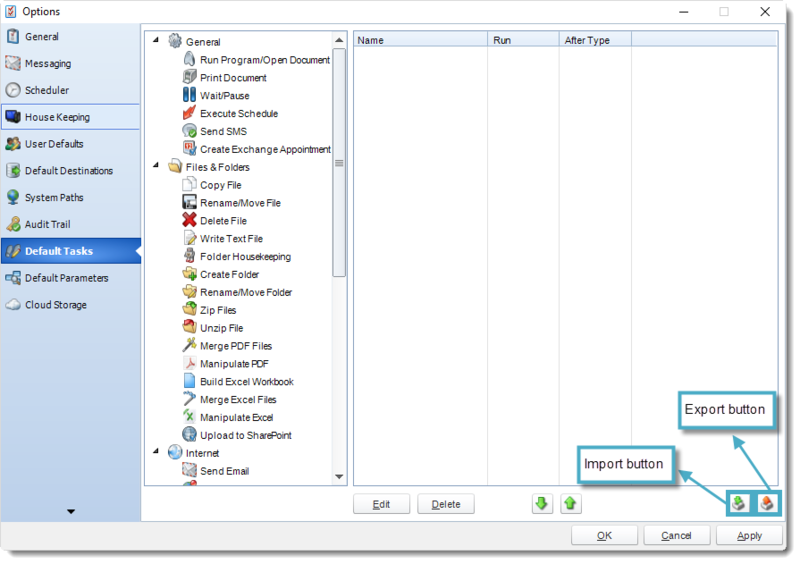 Once you have created the default task, it will display in the Custom Tasks window. Click Apply. Navigate to the Tasks tab of the schedule you wish to add the default task to. 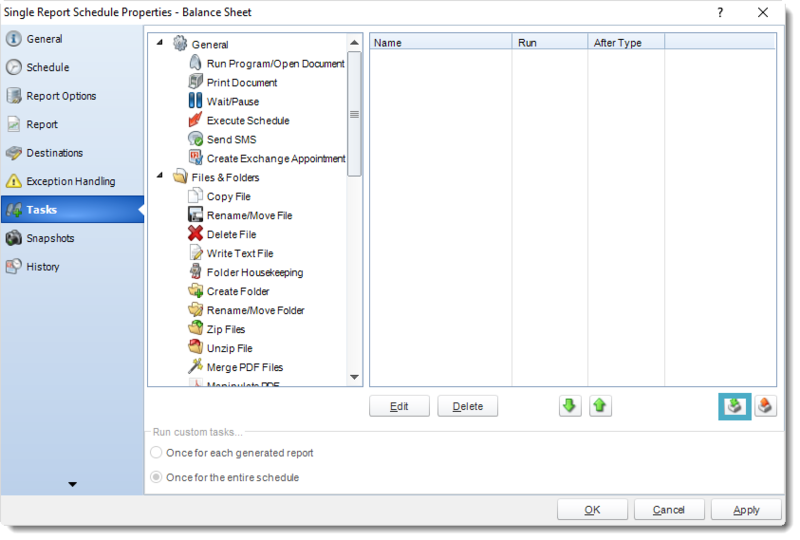 This can be done by right-clicking the schedule, selecting Properties, and then clicking Tasks. 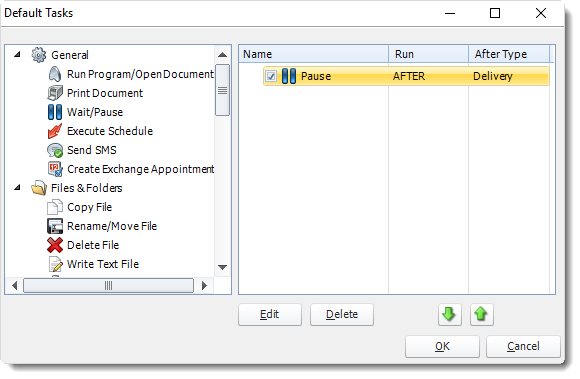 From the context menu, select Default Task. From the list that displays, click on the default task you would like to add to this schedule. 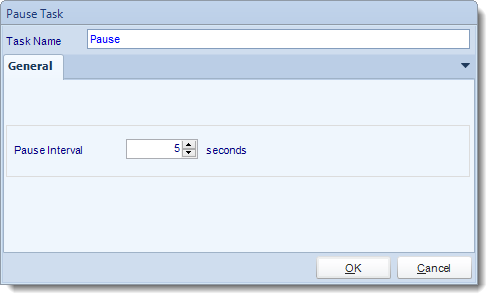 Then, click OK.
You can create additional default tasks in this window as well. The default task will now be added to the schedule as a custom task. Click Apply. On the Default Tasks tab of the Options window, select Export. Enter a name for this task list. Then, click OK. 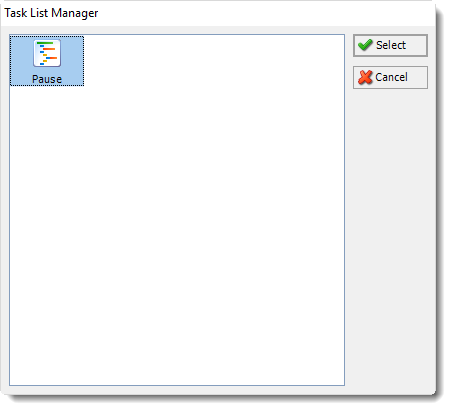 If the default task list was created successfully, you will see a success message. Click OK. The Task list is now saved and can be imported into a schedule. Navigate to the Custom Tasks tab of the schedule you wish to add the default task to. From the list that appears, click the task list you wish to import for this schedule. Then, click Select. All tasks associated with that task list will now be added to the schedule. Click Apply.